Marcella returns for a second season with the creative team behind the ITV drama promising darker and more challenging times ahead for the eponymous detective. DQ finds out more. 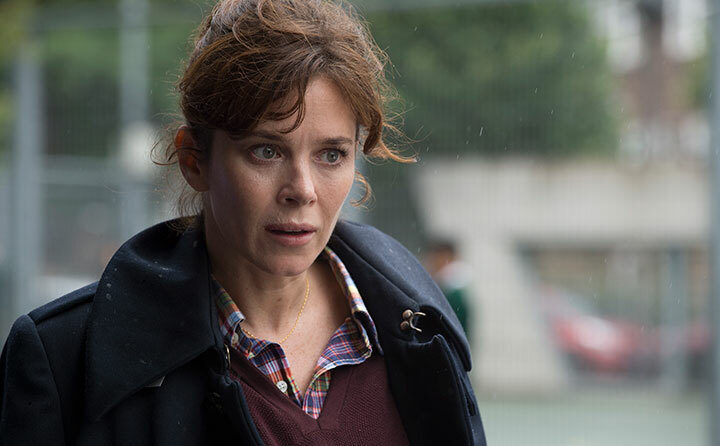 The first season of high-concept thriller Marcella, created by Hans Rosenfeldt and Nicola Larder and starring Anna Friel as the titular character, scattered some Scandi magic over UK broadcaster ITV’s schedule and globally via Netflix. Attracting an average 25% audience share and 6.8 million viewers, the show did the business for its network and its producer, Buccaneer Media, and is now returning for season two on February 19. Rosenfeldt says that when he first started to work on the original show, he didn’t think beyond season one; the story had to be wrapped up and satisfying just in case the drama didn’t have a life beyond that first season. An obvious challenge when approaching the second season, therefore, was to deliver the ingredients that struck a chord with the audience the first time round, but to present them in a way that feels fresh. 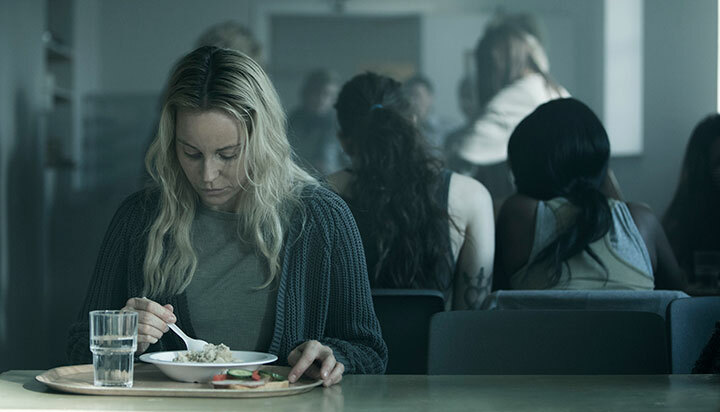 With his responsibilities on The Bridge now wrapped up following a fourth and final season that debuted in Denmark and Sweden last month, Rosenfeldt has written seven out of eight episodes while The Bridge co-writer Camilla Ahlgren takes one. He has also moved to London, is writing later drafts in English and has factored in a longer lead time for scripts. Having set up the show in season one, director Charles Martin has come back to work on this new run, which has helped with the continuity of tone and style. However, a delay in getting season two greenlit meant many of Martin’s previous creative team weren’t available, so he had to assemble a new one. Every noir needs an iconic coat or jumper, and the change in seasons impacted Marcella’s choice of attire, with the detective usually clad in her distinctive parka. 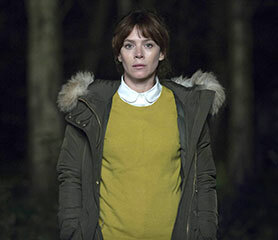 “We chose the coat in season one because we wanted Marcella to have a really immediately identifiable silhouette in any dark shady place because we were going to be picking her out at night,” says Larder. “In a practical sense, we needed our actress to be warm. Then, in turn, it became something she worked with, performed with.” This season Marcella’s coat is different but, apparently, just as good. In honour of ITV’s Brit noir series Marcella, DQ looks at some of the women detectives who have helped reinvigorate a genre that used to be the preserve of cantankerous middle-aged men. When ITV launched the excellent Prime Suspect in 1991, female coppers were still a novelty on UK television. But these days it seems as though the entire police system is in the hands of no-nonsense women taking on a world of desensitised or deranged male bastards. When they aren’t dealing with criminals, they generally have to contend with the fact that their husbands and colleagues are also a) psychotic, b) philanderers or c) perversely obstructive. For the most part, the female cop formula seems to be working, with little indication as yet that the UK audience is getting bored by it. 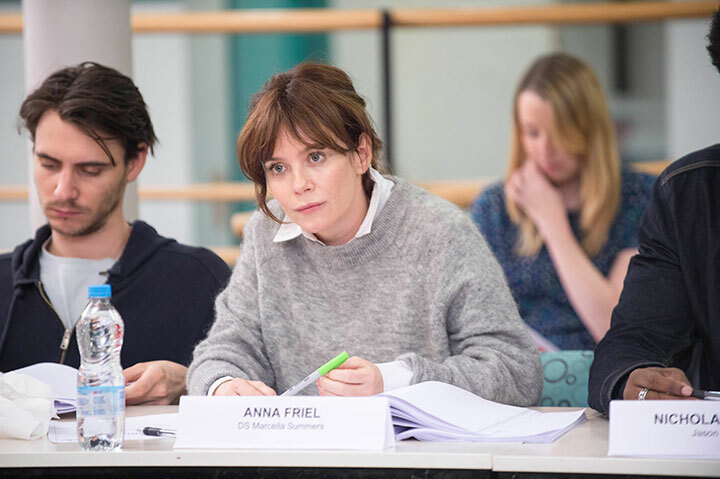 Despite its various structural flaws, ITV’s Marcella, starring Anna Friel, has just finished its eight-part run with a solid audience of around five million and looks like a decent bet for a season two renewal. 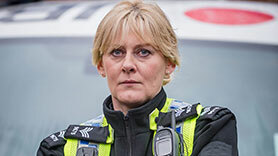 Other female cops who have secured a strong fanbase include DS Ellie Miller (Olivia Colman) in Broadchurch, Sergeant Catherine Cawood (Sarah Lancashire) in Happy Valley, DI Lindsay Denton (Keeley Hawes) in Line of Duty and Superintendent Stella Gibson (Gillian Anderson) in The Fall, which returns for a third season this year. And it doesn’t end there. Other female crimefighters include the cast of Channel 4’s No Offence and Detectives Janet Scott and Rachel Bailey in ITV’s Scott & Bailey. The latter, which starred Lesley Sharp and Suranne Jones, finished this April. Without exception, all of these shows have achieved good to great ratings. Sometimes this is down to the writing, but more often than not it feels as though the real secret of their success is the quality of the female leads. All of the above shows have been graced with exceptional acting performances that make you stay loyal even if the wider production starts to lose its direction. Based on IMDb scores, Marcella doesn’t actually fare that well, scoring 7.1. This is probably a reflection of the gaps in the plot, which caused a lot of angst on social media platforms like Twitter. Much stronger are shows like Happy Valley, Broadchurch, The Fall and Line of Duty, which achieved scores in the 8.3 to 8.5 range. With the general success of female cops, it’s no surprise that ITV is going back to its Prime Suspect franchise with Tennison. This show, from Lynda La Plante, imagines the central character, Jane Tennison, as a young woman starting out on her career. Set in Hackney in the 1970s, it recreates a world where women police constables are treated with suspicion by their male colleagues. The female cop theme is not, of course, restricted to the UK. It has played a big part in the emergence of Nordic noir as a global force. Writer Hans Rosenfeldt, who gaves us Marcella, previously introduced us to Saga Noren (Sofia Helin) in his acclaimed Danish/Swedish copro The Bridge. And this then gave rise to UK/France copro The Tunnel, where viewers have been beguiled by feisty French cop Elise Wassermann (Clemence Poesy). 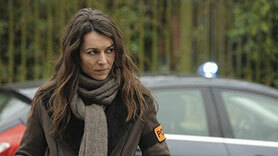 Equally important has been Danish broadcaster DR’s The Killing, which saw Sofie Grabol playing DI Sarah Lund. This was adapted for the US, where Grabol’s role was played by Mireille Enos as Sarah Linden. In France, meanwhile, audiences on public broadcaster France Télévisions have recently been introduced to Sandra Winckler (Marie Dompnier) in Witnesses (Les Temoins). More mainstream is Candice Renoir, about a French police commandant, played by Cecile Bois, who solves crimes in the South of France. The show has also secured a number of sales around Europe. The US, of course, has never been afraid to place female cops on the frontline – think back to Cagney & Lacey or Angie Dickinson as Sergeant ‘Pepper’ Anderson in Police Woman. More recently the mantle of number one tough female cop has been taken up by Olivia Benson (Mariska Hargitay) in NBC’s long-running procedural Law & Order: SVU. The character of Benson has appeared in 385 episodes of the show and risen to become commanding officer of the SVU division. Angie Harmon, as Jane Rizzoli in TNT’s Rizzoli & Isles, is another who deserves to be given a medal for services to the TV industry. Among the new female cops is Harlee Santos, a single-mother NYPD detective played by Jennifer Lopez in Shades of Blue. Countries where female cops are not so prominent include Germany and Italy, where the chaps still get to solve most crimes. But even here there are a few exceptions. 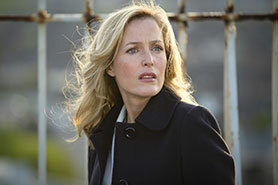 One is Charlotte Lindholm, a detective in the Hanover-set production of ARD’s long-running crime franchise Tatort. 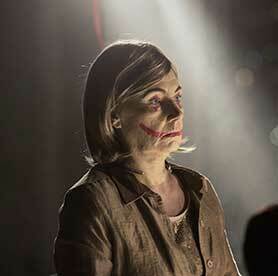 She has been played by Maria Furtwangler since 2002, making her something of a German TV icon. Italy, meanwhile, gave us Donna Detective, in which Detective Lisa Milani (played by Lucrezia Lante Della Rovere) requests a desk job in a small town outside of Rome in order to spend more time with her family. As luck would have it, she gets called back to assist with a major case and is placed in charge of an entire investigative squad in the capital. The clear message from all of the above is that female cops have reinvigorated the detective genre, creating a new kind of character-based complexity around ideas like work-family balance, competing in what is perceived to be a man’s world, tackling problems from a female perspective and demonstrating skill sets that run counter to traditional assumptions. What’s missing, perhaps, is a black or Asian female lead. There have been fleeting sightings (in US shows like Southland, The Wire, Rogue and Deception). But as yet there is nothing comparable to the breakthrough made by Idris Elba in BBC hit series Luther. Given the recent strength of British broadcasters in the female cop genre, this is an area where they should really bite the bullet. The Bridge creator Hans Rosenfeldt brings Scandi style to the streets of London in crime drama Marcella. DQ meets the cast and crew. On a bright and sunny day in central London, light pours into the Serious Crime Unit office. Ten floors above a bustling Tube station, the room is filled with banks of desks, each one covered with its own computer and piles of paper. Police officers who glance up from their monitors can enjoy unimpeded views of the capital through the panoramic windows. But there’s work to do. On one side of the room, two whiteboards are covered with photographs and information relating to a group of murder victims. Images taken from the blood-stained crime scenes leave little to the imagination. Welcome to the world of Marcella, an eight-part drama currently airing on ITV that marks The Bridge creator Hans Rosenfeldt’s first foray into English-language series. Anna Friel stars as the eponymous detective who returns to the Metropolitan Police’s Murder Squad when her husband (played by Nicholas Pinnock) suddenly leaves her. Eleven years after she gave up her fast-tracked police career to marry and start a family, she throws herself back into her work and, after a spate of murders, finds herself on the case of a serial killer that first struck in 2005. The cast also includes Downton Abbey’s Laura Carmichael, plus Ian Puleston-Davies, Nina Susanna, Ray Panthaki, Jamie Bamber, Sinead Cusack, Patrick Baladi and Harry Lloyd. Produced by Buccaneer Media, Marcella is executive produced by co-creators Rosenfeldt and Nicola Larder alongside Tony Wood. Cineflix Rights is distributing the series internationally and has secured a deal with Netflix that will see the series air worldwide on the SVoD platform. 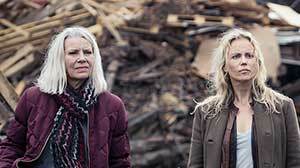 As a big fan of The Bridge (aka Bron/Broen), Friel says she was excited to join a “unique” production that isn’t simply a remake of an existing Scandinavian drama. “It was changing the mould and the shape by taking a Scandi writer, putting him in England and letting him give his take on London,” she tells DQ during a break from filming at the fictional police station. Carrying the series as the title character, who Friel admits is in almost every scene, might have led to the actor feeling under pressure – but she says she hasn’t had time to stop and take stock during the intense shoot. Friel was well placed to star in a drama from a Swedish writer, having previously worked in Scandinavia on Norwegian historical drama The Heavy Water War (aka Kampen om tungtvannet or The Saboteurs). American Odyssey and Pushing Daisies star Friel was the “first and only choice” to play Marcella, according to executive producer Larder, who created the character before seeking out Rosenfeldt to bring her story to life. Larder – who was a development executive on the first season of The Tunnel, the Anglo-French adaptation of The Bridge – describes Marcella as “amazingly complicated,” a detective who failed to detect the collapse of her marriage and is now headlong in an emotional spin while trying to catch a serial killer. “I like the idea of a mistrustful central female protagonist whose actions the audience should always understand, if not like,” she adds. “That’s real life – it’s not always black and white. We can be great people who sometimes act irrationally, unsympathetically or selfishly. Marcella has a reality to her. She’s not defined by being a detective or a mother, she’s defined by both – she’s just not been able to do both simultaneously. From the slow-boiled character studies of Broadchurch to the harsh Icelandic setting of Fortitude, every new crime drama in the UK in recent years seemingly can’t escape being described as a British take on the immensely popular Nordic noir genre. But Marcella goes one further, taking Rosenfeldt and placing him in a London-set show designed for a British audience. “We are not imitating Scandinavian noir, we are taking a Scandinavian writer out of his comfort zone and setting him free,” Larder insists. “But we’re aware of our audience. We need to deliver for a British audience that loves character. 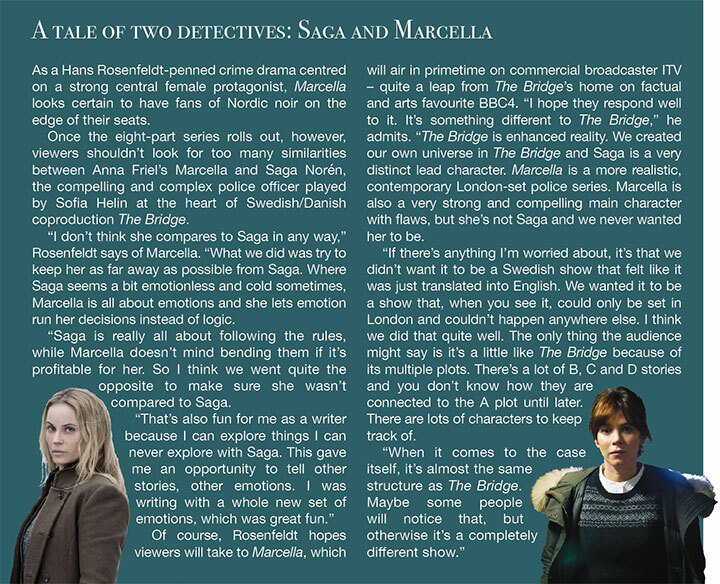 Having written three seasons of The Bridge – a fourth (and possibly final) is under discussion – Rosenfeldt says he was keen to put Swedish detective Saga Norén (played by Sofia Helin) to one side and work with a new central character. “I’ve been writing Saga for so long so it was fun for me to do something else. I know Saga so well – it’s nice to meet someone new,” he explains. For his first English-language series, Rosenfeldt wrote the first three episodes in Swedish before they were translated into English. For episodes four, five and six, he gave notes in English, before writing the last two in English with the help of a script editor. Reuniting with Rosenfeldt is Henrik Georgsson, one of three directors alongside Charles Martin and Andrew Woodhead. Georgsson, who steers episodes seven and eight of Marcella, has previously overseen 16 hours of The Bridge as well as episodes of Wallander. There were also challenges for the production team, most notably in filming across London and finding the right location for the main police station. Production designer Max Gottlieb continues: “One of the key things was the police station and what it means to the story, but you also have to take into account every other police show and every other police station. The key thing was actually showing London, so that’s why we chose this location. Being so high up, you’re always seeing London in the background and you’ve got great shots of Marcella looking down at life. While she’s hopeful Marcella will get a second season in 2017, Larder is now keen to bring more European writers to the UK. Steve November, drama director at ITV, promises a bigger drama slate over the next two years and wants to make the channel the ‘place of choice’ for established producers and fresh talent alike. Now that juggernaut period drama Downton Abbey has come to an end – the final sixth season bowed out with just under nine million viewers, while a one-off Christmas Day special drew almost seven million – the Sunday 21.00 slot has opened up opportunities for ITV to cast its net wider for new dramas. It might have been different, but Jekyll and Hyde ultimately failed to achieve what ITV wanted, with creator Charlie Higson announcing on Twitter in early January that it would not be back for a second season. “It was a grand adventure while it lasted,” he wrote. 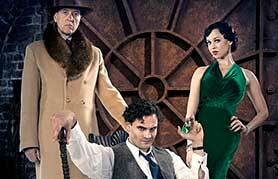 ITV plans to increase its drama output in each of the next two years, says November. 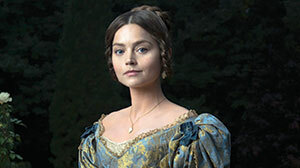 The channel has already lined up a varied slate of new series, including Victoria (8×60’, pictured top) from Mammoth Screen (Poldark, Endeavour), focusing on the early life of the British monarch. It also marks the screenwriting debut of novelist and producer Daisy Goodwin. However, ITV continues to mine its back-catalogue for returnables. After 12 years off air, Cold Feet is being revived as a new eight-part series, while Tennison is a prequel to Lynda La Plante’s iconic crime drama Prime Suspect, which starred Helen Mirren and ran to seven series. The six-part latter, written by La Plante and coproduced by Noho Film and Television and La Plante Global, is being lined up to coincide with this year’s 25th anniversary of the launch of Prime Suspect. Dramas on this year’s slate appear to fulfil that mission. 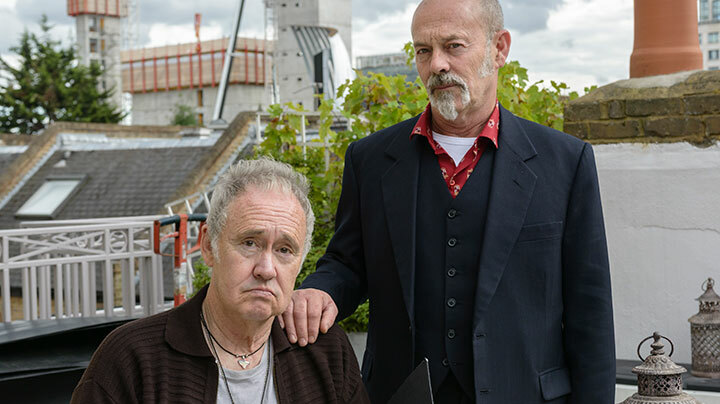 Adding to Cold Feet and Tennison are several from ITV Studios, including the 12-part warrior drama Beowulf: Return to the Shieldlands and eight-part historical drama Jericho (both now on air) and four-parter Tutankhamun. The latter follows the discovery of the tomb of the Ancient Egyptian pharaoh and stars Max Irons and Sam Neill. External commissions include crime drama Marcella from Buccaneer Media, written by Hans Rosenfeldt (The Bridge) and starring Anna Friel; three-part drama Doctor Thorne, Julian Fellowes’ next project for ITV after Downton, adapted from Anthony Trollope’s book series and made by Hat Trick Productions; and The Halcyon (8×60’) from Left Bank Pictures, a drama set in a five-star London hotel in wartime 1940. Hillbilly Television will also produce six-parter The Level, about a police officer leading a double life, while CPL Productions is behind 80s-set Brief Encounters. The slate also includes several new single dramas, like Churchill’s Secret, produced by Tinopolis-owned Daybreak Pictures and starring Michael Gambon as Sir Winston Churchill and Lindsay Duncan as Clementine Churchill. 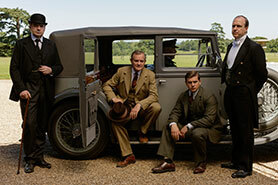 ITV remains entirely focused on commissioning for British viewers. “The international aspect can bring funding, talent and all the other parts of the equation. But first and foremost I only want to look at shows that are going to work for our audience in the UK on their UK broadcast,” November adds. The drama director says ITV’s licence fees are very competitive and realistic against the backdrop of rising budgets, typically ranging between £500,000 (US$745,700) and £800,000-plus per hour, depending on the show. The Only Way Is Essex co-creator Tony Wood tells Michael Pickard how he tries to push the boundaries of drama, with or without a script. Tony Wood has always created TV programmes with stories. 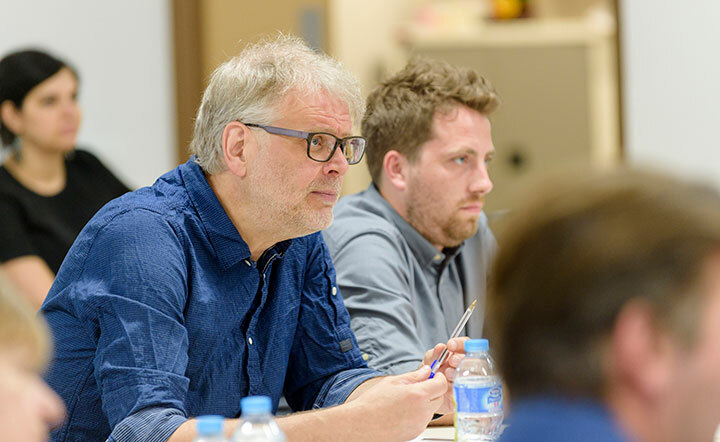 A former producer of long-running UK soaps Coronation Street and Hollyoaks, he’s well versed in combining multiple characters with interwoven plots to create maximum drama. But now he’s doing it without the script. 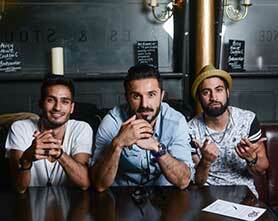 Wood was integral to the development of ITV unscripted drama The Only Way is Essex (Towie, main image) – and his latest series, Desi Rascals, is currently airing its second season on Sky1. The show, which Wood created with Gurinder Chadha, follows the real-life drama of a group of multi-generational British Asians. The cast also interacts with fans in real time on social media, with each episode incorporating their online reactions to the events on screen. 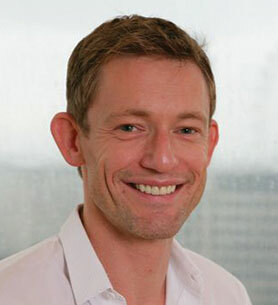 Wood says his desire to create the TV equivalent of a social media network was the impulse behind both Towie and Desi Rascals. “I was also becoming increasingly interested in how people react in an unmediated way when you confront them with circumstance,” he explains. “The more I thought about it, the more I thought Desi was a world we didn’t see on British TV. So Gurinder and I collided into the idea that we should just put a camera on this community and post-produce it in quite an intrusive way, and play it back to them and see how they react. That was the general notion. For the ongoing second season of Desi Rascals, filming for all eight episodes is taking place across just four weeks, with each episode being shot in just three days. As the show is aired weekly, the producers and editors have plenty of time to build stories from their footage. Wood says: “It’s important it’s for real, because I might as well make a (scripted) drama if it isn’t for real. It would be better performed. But then in the edit suite you take a dramatist’s eye to it and you start to make properly subjective editorial decisions. You take a partisan view on who’s driving a scene or who’s the most interesting person. Ex-Lime Pictures creative director Wood fell into unscripted programming when he was asked to create a UK version of hit US series Laguna Beach for MTV. He then partnered with All3Media’s Ruth Wrigley, who worked on the first three seasons of Big Brother, to create Towie. Wood says that beyond the chance to work with non-actors – an opportunity he found “really exciting” – he was also becoming more interested in the changing form of television. “For a lot of my career, I’ve felt we’ve been too straitjacketed by not being able to have a conversation about form, so it became an exciting proposition,” he says. “Towie was interesting to do because we wanted something where you weren’t quite sure (what it was). All the pre-publicity said it was real but we very deliberately post-produced it in a way that made you feel it couldn’t possibly be real. But does unscripted drama sit alongside its scripted counterpart, or should this emerging genre be held at arm’s length? Wood says the two can exist side by side, and again suggests TV drama has been stuck in a rigid structure for too long. “I think it sits quite comfortably with scripted drama. Whether that’s the case for the broadcasters yet remains to be seen,” he says. “It sits comfortably because it’s all about telling stories, and if there are tales to be told that might be psychologically interesting, even in their trashiness, I think that has value. Wood also believes unscripted drama has been wrongly tarred by its most successful series’ reputations for being brash and tacky. Returning to his notion of TV programmes as social networks, Wood predicts that unscripted drama will “expand massively” as online platforms such as Facebook and YouTube branch further into original programming. Wood hasn’t completely shed his scripted roots, however. In 2013, he partnered with Cineflix Media to launch Buccaneer Media, which aims to produce scripted programming for broadcasters worldwide. Then in June this year, ITV and Buccaneer announced new crime drama Marcella, which is written by Hans Rosenfeldt (The Bridge). 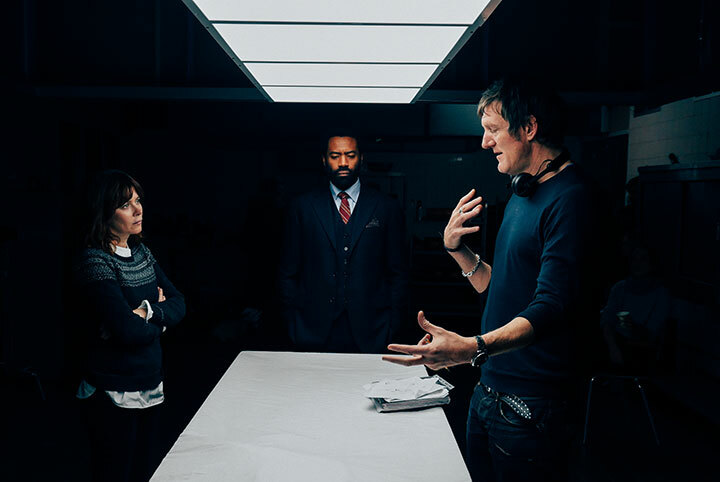 Described as a Scandinavian noir set in London, Marcella follows the eponymous police detective returning to work after a 12-year career break during which she got married and raised a family. But with her marriage at an end and her daughter away at boarding school, she must overcome the challenges in her personal life to deal with a spate of killings that echo a number of unsolved murders committed a decade earlier. 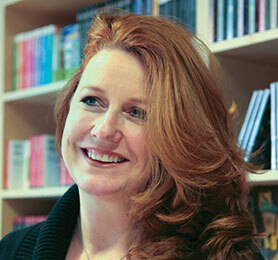 Wood executive produces the eight-part series with Rosenfeldt and co-creator Nicola Larder. “It’s going well,” Wood says of the show, which is still in the writing stage. “We’ve had five different writers room weeks with Hans and it’s been a real joy to create the plot and colour in the characters after that. “As with all the Scandi shows, it’s an incredibly full plot. In the past 10 years we’ve undersold narrative in British TV drama a little bit, so to sit there with a master storyteller, and for us to try to work out the narrative in such intense detail, has just been brilliant and a real lesson. You realise The Bridge was not an accident. “Hans is quite brilliant. With every draft that comes in, the level of detail – sometimes that you haven’t discussed with him – is just extraordinary. It’s interesting because he writes the plot and characters emerge through it. When it comes to drama, it’s clear Wood is constantly looking to push the boundaries and structures of television, with or without a script. On air in more than 150 countries and providing the inspiration for two international adaptations, it’s hard to deny the impact Nordic noir thriller The Bridge (aka Bron/Broen, pictured above) has had on television screens around the world. So when the series’ executive producer says the forthcoming third season is the best yet, plenty of viewers are bound to get very excited. 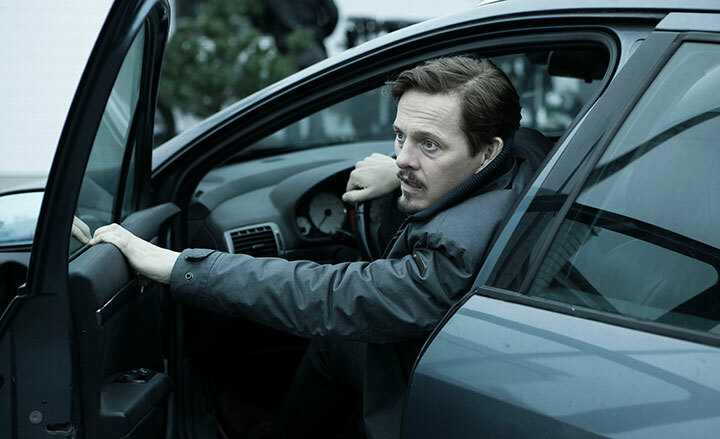 The Swedish/Danish coproduction, created by Hans Rosenfeldt, saw detectives from both countries unite to solve a grisly murder after the discovery of a body on the Øresund Bridge, which connects the two nations. Produced by Sweden’s Filmlance and Denmark’s Nimbus Film, it first aired on Denmark’s DR and SVT in Sweden in 2011, and its sequel followed in 2013. This autumn, viewers can look forward to the third instalment. 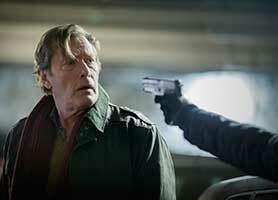 Plot details are a closely guarded secret, but Filmlance MD Lars Blomgren says there is plenty to be excited about. “When I look at the third season of The Bridge, it’s just brilliant,” he says. “It’s the best season ever. 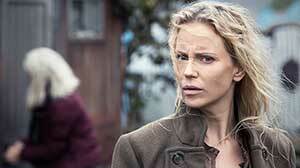 In the first two seasons of The Bridge, you saw things from (Danish detective) Martin’s side. We changed it for the third season and had the focus on (Swedish cop) Saga. “Sofia Helin (who plays Saga) is giving the performance of a lifetime. It’s one of the best performances I have ever seen. The international success of The Bridge led to two remakes – The Bridge on US cable network FX, which transplants the action to the US-Mexico border, and The Tunnel, a UK/French coproduction that centres on the Channel Tunnel. 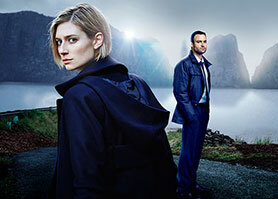 The former was cancelled last year after two seasons, while The Tunnel is set to return for a second season – called The Tunnel: Debris – in early in 2016 on Sky Atlantic and Canal+. Blomgren says the new run of The Tunnel “looks brilliant. I’m really happy and proud.” However, he is disappointed that the US remake didn’t get another season. “One of the best things about the show was they made a late decision to switch the location of the story from the Canada-US border to the Mexico-US border,” he explains. “It took their show in a completely different direction to ours and it meant they didn’t really compete with us. It was one of the few shows in the US that was politically relevant. I think they were really close to picking up a third season. With competition for scripted hits more fierce than ever, dramas are being seen as the way to build a brand. And the cheapest way to do this is with returning series. No wonder, then, that with four returning dramas on its slate in 2015, it’s been an “unprecedented” year at Filmlance. As well as The Bridge, the Stockholm-based company is also back with Beck, its long-running TV movie franchise based on the detective novels by Maj Sjöwall and Per Wahlöö. Filmlance is also producing season five of Morden i Sandhamn (aka Murder in Sandhamn), the TV4 crime drama based on the books by Viveca Sten and described as “Midsomer Murders on an archipelago,” as well as the latest instalment in the Arne Dahl series, another crime adaptation. “It’s easier to get a second season than a new series on air,” says Blomgren. “All over the world, with binge-watching and changing consumer habits, it’s almost like the audience doesn’t want to commit to a new series unless there’s a second season. One new series on the books at Filmlance is Spring Tide (aka Springfloden), which began production last month. Based on the opening novel in a new trilogy penned by Arne Dahl writers Rolf Börjlind and Cilla Börjlind, the first 10×45’ series will air on SVT in March 2016. 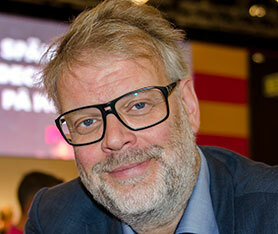 The other titles, Den tredje rösten (The Third Voice) and Svart gryning (Black Dawn), will also be adapted for television, Blomgren says. 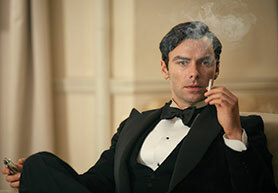 He adds: “80% of primetime television is local now – high-end drama that’s local. That’s the thing that travels too. “It’s very difficult for new scripted projects to break out as it’s easier to order another season. Some countries also prefer to adapt. They see scripted formats as the same as entertainment formats.